How Can West Ham Make Their Point And Spoil The Wanderers’ Return? West Ham host Wolverhampton Wanderers at the London Stadium with both team’s seeking a first win of the season. With a tough run of fixtures on the horizon can the Hammers settle their nerves and pick up the points? Tomorrow sees West Ham’s first meeting of the campaign against one of last season’s three promoted clubs. In normal circumstances this would be seen as a great opportunity to put some points on the board but Wolves, along with Fulham, have a level of financial backing that would suggest something more than attritional backs-to-the-wall survival is on the radar. Wolves have, to date, bucked the trend of Chinese investment in English football by embarking on an impressive run of success while for the others its has all gone lychee shaped. Owners, Fosun International (“creating happier lives for families worldwide”), are a multinational investment conglomerate headed by one of the wealthiest men in China with interests ranging from asset management, insurance, real estate and entertainment. With the company earning over a billion US dollars in profit every six months, shortage of funds is not going to be an issue should the owners wish to invest even further. Under the guidance of magnificently bearded Nuno Espirito Santo, Wolves record this season is two home draws, against Everton and Manchester City, and one, reportedly unlucky, away defeat to Leicester. Like the Hammers they are seeking their first league win of the season this weekend. I watched much of the Wolves – Manchester City match last week in which the hosts played a compact 3-4-3 formation; worked hard for each other and were quick and dangerous on the break. The did get the rub of the refereeing decisions (their goal looked both offside and hand-ball) but on the evidence it will certainly be another stiff test for Manuel Pellegrini’s team. The West Ham versus Wolves rivalry extends beyond sixty matches but this will be only the fifth meeting in the Premier League. On the last occasion the two teams met it in a league it was a bottom of the table clash on New Year’s Day, 2011 when a Freddie Sears goal sealed a 2-0 victory that dumped Wolves into bottom spot and took the Hammers to a season high 15th. 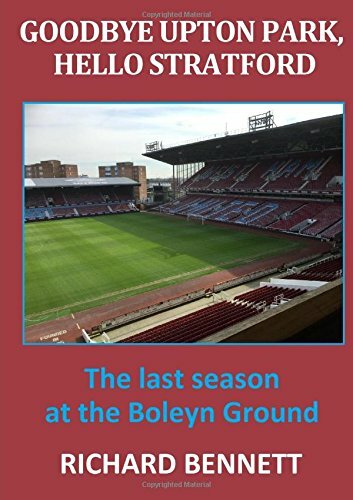 As we all know to well, by the end of the season fortunes had been reversed as the Hammers bid their most recent farewell to the top flight. It was a welcome midweek EFL cup win for West Ham (and defeat would have been a further shock to confidence levels) but it is impossible to read too much into a performance against hard-working but ordinary League 1 opposition, who spent much of the game a man down. I doubt that the manager learned anything new as far as this weekend’s team selection is concerned, except that those who might have been hoping to stake a claim for selection (Obiang, Perez and Ogbonna) were unable to take advantage. From a defensive viewpoint, the only certainty is that Lukasz Fabianski will return to the keeper’s jersey. Beyond that I suspect that Pellegrini will stick with Fabian Belbuena and Issa Diop as centre backs. The Declan Rice situation is a puzzles that to me he looks every inch a central defender and, even though he may have done OK (as a defensive midfielder) against AFC Wimbledon and in a handful of meaningless friendlies for the Republic of Ireland, he has tended to look lost there against more capable and dynamic opposition. The only upside is that he is well placed to drop back into a back three as required – but, then again, that is where I would start him in the first place. It is a toss-up with the choice of full-backs between the attack minded Ryan Fredericks and Arthur Masuaku or the more defensive Pablo Zabaleta and Aaron Cresswell. There may even be a case to play both Cresswell and Masuaku (not both as left backs, obviously) bearing in mind the probable threat down that wing from either Costa or Traore. At times, Arthur has looked by far the most likely player to get behind an opposition defence. In midfield, I am sure Pellegrini will again allow Felipe Anderson the freedom of a central attacking role following the clear improvement at Arsenal last week. This would mean Jack Wilshere (if selected) needing to drop deeper to partner Carlos Sanchez in front of the backline. I am not yet ready to jump onto the second coming Robert Snodgrass bandwagon although I am sure he will start on Saturday – getting the nod over Andriy Yarmolenko who, it seems, needs more work to achieve match fitness. Players need to do more than run around a lot and look busy, and Snodgrass has yet to deliver much in the way of true end product during his Hammer’s career. West Ham’s fortunes may well end up resting on the fitness of Marko Arnautovic. Seeing him in the starting lineup would be a massive boost to confidence rather than having to rely on his understudy, Javier Hernandez. Perhaps, one day, Hernandez will surprise me but I still struggle to see how he can be used beyond being an impact substitution. If it is any consolation his compatriot, Jimenez, who will be leading the Wolves line carries little more threat – creating the prospect of a Mexican stand-off. Hopefully, the magic sponge man can work his wonders on Arnie’s knee. The match referee has been announced as Chris Kavanagh from Lancashire. The website that likes to tells us each week whether this is good or bad news for West Ham, calls it as bad news on the basis that he was in charge of the FA Cup defeat at Wigan last season– ignoring the fact that he also ref’d the away league win at Leicester that finally confirmed Premier League survival. Sky’s Paul Merson felt the Hammer’s played well at Arsenal last week and is predicting a 2-2 draw. At time of writing that lazy git Lawro has yet to share his views but I am guessing he will say 1-1. Given what has gone before and that run of still to come tough September fixtures then Saturday’s fixture takes on an added tension filled significance. Another defeat would leave us traumatised over the international break. I have to believe and keep the faith, both in Pellegrini’s abilities and in Arnie’s knee. I think that we can shade this one by the odd goal in three. Two of Wolves three league opponents this season have been reduced to ten men; a warning, perhaps, that discipline is required all round. The second round of EFL Cup sees the not-so-big boys enter the fray. Can Manuel Pellegrini’s shell-shocked Hammers cast off their Premier League woes to record a moral boosting victory against League One Wimbledon? Watching our game on TV at the weekend I heard the commentator mention how Arsenal had lost each of their opening three league matches in the 1992/93 season but subsequently went on to win both the FA and Football League Cups – beating Sheffield Wednesday in both finals. An omen, maybe, that the Hammers take inspiration from history as they yet again set off hopefully on that elusive road to Wembley. At the start of the season, the League or EFL Cup (in its many guises) is considered the piece of silverware that is most closely within the grasp of the smaller clubs; this despite the fact that the big six have won fifteen out of the last twenty competitions. On paper, a second round fixture against League One opposition should be a routine victory; and then all we need is the continued luck of the Carabao draw and, hey prstoo, we are all the way to the final, for the first time since 1981. Consider though the Hammer’s capacity for shock exits before pencilling the date of 24 February into your diary! Today’s opponents are AFC Wimbledon whose remarkable rise through the football pyramid since their formation in 2002 sees them compete in the second round of the League Cup for the very first time. It is debatable whether football historians should regard this as our first encounter with the Dons or whether the previous twenty-seven meetings with the former Wimbledon FC should also be taken into account – a sequence that included a fourth round League Cup victory for West Ham in 1989 courtesy of a Martin Allen thunderbolt (and a Julian Dicks red card). These days, AFC Wimbledon temporarily strut their stuff at Kingsmeadow stadium pending a return to their neighbourhood roots at New Plough Lane in 2019. The new stadium will be built on the site of the old Wimbledon dog/ stock car/ speedway arena, where I assume they will not be leaving the old track in place. For those travelling, it is likely to be a tight squeeze into the 4,850 capacity Kingsmeadow for tonight’s game – I believe the smallest stadium, by capacity, in the entire football league. For the less adventurous the game is being shown on Sky Sports. A sign of how football on TV has changed over the years is that one of earliest televised games I can remember watching (it may only have been the second half) featured former Kingsmeadow ground share partners, Kingstonian, in a live FA Amateur Cup Final – such were the restrictions on the broadcast of live games back then. It has been customary for Premier League clubs to put out a second string in the early rounds of the League Cup. I can’t decide whether this is because two games in a week is too much for players in the modern game or whether you will be ceremoniously mocked as not being a proper top club should you put out your first team. Understandably, risking injuries against what could turn out to be agricultural opposition, would be a concern but such bad luck can also occur in training. Not that I am suggesting AFC Wimbledon will be employing crude tactics, I know nothing of their style of play, but their manager did feature, as a player, for both the old crazy gang and for Millwall. With Manuel Pellegrini still looking to discover his best team it would seem the perfect low risk opportunity to treat this game as any other in his pursuit of the holy grail. Sure, bring in a few who are realistically on the cusp of a Premier League first team slot, but don’t give games to total fringe players who would only otherwise get the call in the event of a major flu epidemic or bout of lasagne poisoning. I think it is fair to give Adrian a run out and I would also like to see Declan Rice, in central defence and Pedro Obiang in central midfield. I don’t know what the fitness situation is with Andriy Yarmolenko (given that Robert Snodgrass repeatedly gets the nod in his stead) but some more game time for the Ukrainian would be useful. Marko Arnautovic will certainly not play any part, which will mean probable outings for Javier Hernandez and/ or Lucas Perez. If Pellegrini is inclined to ‘unleash’ any youngsters in his lineup then he could do worse than allowing Nathan Holland or Xande Silva to show what they can offer. The Hammers badly need a confidence boosting victory from the game and the prospect of defeat before a tough run of league games is unthinkable. I have to believe that we have the talent to prevail but do we have the attitude and organisation? I am hoping so, and will predict a comfortable 3-0 positive outcome. What did we learn as slightly improved West Ham flatter to deceive at The Emirates leaving a disjointed Arsenal flattered by the final score? That Was Just a Dream, Just A Dream. If you had read my match preview you will have seen that in my dream West Ham lost 3-1 to Arsenal. As the other details of the dream – the order and nature of the goals – turned out to be wrong, I think we can put this down to a coincidence; or else, I have developed the psychic powers of Paul The Octopus. I’m not sure there is such a thing as luck in football but the score-line certainly flattered Arsenal, who themselves are struggling to come to terms with a new regime. At least they now have a confidence boost, something that continues to be elusive for Manuel Pellegrini’s side. It was particularly annoying to concede yet another Welbeck goal, just as we did a Sturridge one a few weeks back – these two strikers appear to be on standby just to play against West Ham. Three consecutive defeats means that we now sit proudly at the top of the most Premier League defeats (351) ever table alongside Everton – a feat that has been achieved from 150 fewer games than the Toffees. Still Hasn’t Found What He’s Looking For. Although the bar is fairly low, this was by far the best West Ham performance of the season. With a touch more composure the Hammers might have added several more to their solitary goal tally. There were signs of some understanding developing in certain areas of the pitch although much more work remains to be done – conceding an average of three goals per game is only going to result in one outcome. Strange then, that one of the successes of the season to date has been the performance of Lukasz Fabianski in goal, the last (and sometimes only) line of defence. He has looked assured both as a shot stopper and in the air and I have been impressed. Elsewhere, Felipe Anderson upped his game in a freer central role and provided a teaser of what he can bring to the party by injecting speed and wizardry into our counter-attacks. It was also a competent full debut by Carlos Sanchez who kept busy and was efficient with the ball. As Pellegrini searches for his best team and formation, he may have taken some small steps in the right direction – but he is still some way from finding what he is looking for. It was a big surprise to see the selected central defensive partnership of Fabian Belbuena and Issa Diop as I had anticipated a Diop/ Angelo Ogbonna pairing. Not that I felt Ogbonna deserved to keep his place and his tendency to switch off, which gifted Bournemouth their winner a week previously, has always concerned me. It was just that throwing two inexperienced Premier League defenders into the mix seemed like a massive gamble. Diop’s debut will be forever associated with the second Arsenal goal where he can rightly claim both the score and the assist. It was unfortunate because he appeared to have brought some much needed athleticism to the task even if he looked somewhat raw. If Diop and Declan Rice are to develop they are going to need an older head supporting them at the back. I don’t know where this is going to come from unless we are banking on a rapid Winston Reid return. Going to three at the back still seems the sensible solution to me based on the resources that are available – and that applies to both the central defenders and the full/ wing backs. None of us are completely objective when it comes to judging players and I will admit that I would love it (love it) were Arthur Masuaku to go on and become a Hammer’s legend. According to Whoscored, Masuaku was our top rated player yesterday and, although I am not sure that this is strictly true, he is always exciting when in possession – just not the greatest defender. In many ways he is a budget version of Benjamin Mendy at Manchester City but while City adapt to Mendy’s defensive deficiencies and create space for him to exploit, Masuaku is left exposed. Everyone knows that Bellerin can be a major threat for Arsenal but there seemed no plan to track his runs. The gap between Masuaku and Michail Antonio was often a big one and neither of the central midfielders were available to plug it – it was difficult to know whether Antonio was meant to have any defensive responsibilities. It was a similar story on the other flank where Ryan Fredericks’ strengths are his speed going forward and in providing assists. As yet, there have been few opportunities to demonstrate these. Marko Arnautovic weighed in with another goal to make it two in three games in his mission to become the Hammer’s first ever Premier League twenty-goals a season striker. Maybe on another day he could have come away with a match-ball hat-trick, despite limping off injured just before the hour mark. It is generally accepted that a striker needs to be single minded and a little bit greedy but, once again, there were occasions where a pass to a colleague would have been the intelligent option. Keeping Arnautovic fit is going to be crucial as the season progresses as there is no obvious replacement at this point in time. West Ham’s threat as an attacking force was significantly diminished on his departure. In the middle of June when I first saw the Premier League fixture list for this season, how many points did I think that we would have by the end of August? The optimist in me, balanced against the realist, thought that after our first three games, two tough away fixtures at Liverpool and Arsenal, and an easier (on paper) game at home to Bournemouth, that we would have three points. An average of roughly one point per game for 38 games is what is needed to achieve the first target; that is survival to play in the top flight for a further season, and reap the rich financial rewards for doing so. Of course I hoped for nine points, but even the world’s most optimistic West Ham fan wouldn’t have dreamt of a start like that. We could, of course, still reach three points from three games, but that will require a victory at the Emirates Stadium on Saturday, and realistically how likely is that? Many will point to the fact that if you look at the league table then getting something out of the game is very possible. After all, although we rose from the bottom into nineteenth place on Sunday, thanks to Manchester City’s (expected) demolition of Huddersfield, Arsenal only sit in seventeenth place themselves, level on zero points but with a goal difference superior to our own. Gunners fans would argue that you could hardly get two much tougher opening fixtures than facing Manchester City and Chelsea, and their realistic supporters probably also expected to have three points after three games when they realised that the Hammers were third game up. History will tell you that we don’t often win away games at Arsenal, although they are not as rare as wins at Anfield. I have witnessed it more than once, the most memorable being the “I was there” 2-0 victory at Highbury in the quarter-final of the FA Cup in 1975, one of the times we went on to lift the trophy at Wembley. But at that time Arsenal weren’t the force that they have been over the last couple of decades or more. Even though we finished in the bottom half of Division One in that “cup-winning” season, Arsenal were three places below us. My first visit of this season to the London Stadium last weekend was a big disappointment. I fully expected us to beat the Cherries, especially so at half-time when we led 1-0, although the lead was perhaps more than we deserved. As the first half wore on Bournemouth began to realise that their attacks down the flanks behind our full backs were not bearing fruit, and that there might be a simpler way through the gaping hole right in the middle of our defence. The lack of a competent defensive midfielder (such as Pedro Obiang, inexplicably in my view left on the bench), and two centre backs lacking real pace, unused to playing together, too far apart, prone to switching off, and perhaps better suited to facing bigger (in stature) strikers of years gone by, was a godsend to a Bournemouth attack which had both the pace and skill to exploit the situation. It was only poor finishing and the fine reflexes of Fabianski that stopped them being at least level at the break. However, I can just picture the Bournemouth dressing room at the interval, and their fine young astute manager, Eddie Howe, pointing out the frailties of the West Ham defence, and how they could benefit from it. And whilst I could admire the Callum Wilson goal where he left five defenders in his wake (even though I had left him out of my fantasy football team that weekend! ), I was disappointed to say the least in the abject defending that allowed him to do so. And the second goal was just as bad. Ogbonna, who I am afraid has never been my favourite centre back, was solely to blame in my view, firstly for losing his marker and getting on the wrong side when he should easily have won possession if he had been concentrating properly, secondly for conceding the foul in a dangerous position, thirdly for not watching the ball as the free kick was being taken (being more interested in obstructing the man he was facing), and finally allowing the header which ultimately won the match. The introduction of Rice to play as a central defender, and given the opportunity of a long run in the team, cannot come too soon from my point of view. I have written more than once in these blog articles about the timing of football matches with regard to time wasting. I have championed (and will continue to do so) the simple method of having a clock in the stadium controlled by a timekeeper behind the scenes, who every time the ball the ball is out of play stops the clock, and starts it again when play resumes. The whole concept of time wasting would be totally eliminated with this simple procedure, plus everyone in the stadium would know exactly how long there was to go. Goal celebrations are a big thing in football these days (it is amusing to look back in time to see how they have changed), and as each of the Bournemouth goals went in I looked at my watch to time how long it would take for the game to be re-started. On each occasion it was almost two minutes. If you add to this the time taken for the second half substitutions to take place (especially the Bournemouth ones), and the lengthy (but understandable if you can get away with it!) time-wasting of the Bournemouth players, the feigning of injuries, and time taken to take goal kicks, then I fail to see how a referee can deem that only four minutes should be added. But having said that, having just witnessed one of the poorest displays of refereeing that I have seen in years from Mr. Atwell, then perhaps I shouldn’t be surprised. The loss of the match was in no way attributable to his poor performance, but the total lack of respect / confidence in him by the players, the way he kept stopping the game for silly things, his lack of using the advantage rule even once, his inconsistency in approach, in addition to the poor time-keeping, was a reflection of a bad day at the office for this official. I hope not to see him spoil a game of football again. Having witnessed the (generally) excellent refereeing in the World Cup tournament in the summer, it was a shame to see a domestic game handled so poorly. Few of the West Ham players had impressive games and collectively we just do not look like a team yet. Hopefully it will happen sooner rather than later. A third straight defeat this weekend would leave us playing catch-up in the league, a similar situation to the past two seasons. For me, Fabianski, Wilshere, Snodgrass, Arnie, and Masuaku (when he was attacking only) had OK games, as did the three substitutes, Yarmolenko, Perez and Sanchez who all gave brief glimpses in their cameos of why they should become good acquisitions. I have to say I was expecting to see more from a player that supposedly cost over £40 million, and hope that he will begin to demonstrate this soon. I haven’t got a clue as to the manager’s thinking on team selection for this game, but for me, Rice in central defence, and Obiang in midfield would be my first two names on the teamsheet. For this game perhaps Sanchez could be selected alongside Obiang to provide even more defensive cover, with Wilshere pushed further forward into the so-called number 10 role. My team selection for this game in a 4-2-3-1 formation would be: Fabianski; Zabaleta, Rice, Balbuena, Cresswell; Obiang, Sanchez; Anderson, Wilshere, Snodgrass: Arnautavic. If we played with three centre backs, Rice, Balbuena and Diop, then I would be more than happy for Fredericks and Masuaku to occupy wing-back roles as opposed to Zabaleta and Cresswell. Yarmolenko may not be 100% yet, but he will certainly be pushing for a starting place along with Perez. For me, Ogbonna, Noble, Antonio and Hernandez would just be squad players with places on the bench at best, but it is all about opinions and some would disagree. The bookmakers’ odds for the game tell you what they believe will happen. The odds on a 4-0 Arsenal victory (14/1) are shorter than the price of a West Ham 1-0 win (17/1). Aubameyang is priced at only 10/1 to score a hat-trick, only slightly longer than the West Ham odds to win the game (8/1). Jack Wilshere has been quoted in the London papers as saying that it is “a good time to play Arsenal.” If you believe that he will score the first goal of the game, and that West Ham will win 2-0 (as they did on the opening day of the season at Arsenal just three years ago), then you can get a return of £3500 from a £10 stake. A £10 bet on Lucas Perez inflicting the same first goal on his previous employers in a 2-0 win would yield £2100. Idris Elba (a Gunners fan) is up against Lawrenson this week and predicts a 6-0 victory as opposed to Lawrenson’s more conservative 2-0. “Football expert” Lawrenson trails his guests (not football experts!) after two weeks of the season with his predictions so far, which just goes to show that you don’t need to be a so-called “expert” to have a view on what will happen in football, and that the opinions of fans can be just as valid as those of pundits who have played the game at the highest level. For no logical reason based on past performances away at Arsenal, or our form this season to date, I will however don my optimistic hat once again and forecast a 2-0 victory for West Ham to kick-start our season and get us back on track to my thinking of three points after three games. Stranger things have happened. Just three seasons ago, in the final season at Upton Park, our opening four games were (on paper) easy home games against Bournemouth and Leicester, and tough away fixtures at Arsenal and Liverpool. I thought then that we would hopefully have six points after the four matches and that is exactly what we had. But not in the way that I thought! We lost the home fixtures to Bournemouth and Leicester, but beat both Arsenal and Liverpool away from home scoring five goals without conceding at all. You never know quite what you are going to get when you follow West Ham, and perhaps that is part of the beauty of supporting them. Different players same problems. A lack of pace, energy and penetration coupled with comedy defending sees West Ham deservedly beaten by Bournemouth in the London Stadium season opener. Manuel Pellegrini was quoted after match as saying that “we need to find what the best team is in this moment”. I think many of us could have told him before the game that the one he picked wasn’t it. Every manager deserves a honeymoon period while they instil new ideas and philosophy but, at the current trajectory, Pelligrini’s reign could rival that of Frank De Boer. I am all for a manager having a belief in and commitment to a style of play, and then bringing in players to fit that system, particularly if there is a willingness to entertain as part of that philosophy. Right now, though, it looks like some pragmatism might be required – he cannot re-create Manchester City with the players at his disposal any more than a Formula 1 team can build a new car from spare parts they picked up in Halfords. The optimism from an encouraging pre-season is currently looking sorely misplaced. It might take a while for players to really get to know each other but, in the meantime, they should still be working and fighting for a common cause. Fitness and energy levels appear well below what is required. By the end of the game yesterday, Jack Wilshere was the sole UK representative on the pitch for West Ham – compared to Bournemouth’s nine. OK, so we started with three but Mark Noble and Robert Snodgrass would be nowhere near that starting eleven if I was picking it. Overseas players have brought bags full of flair to the English game and it is fair to say that the majority of the real stand-out players in the Premier League are foreigners. Overall, the foreign invasion has been a good thing but having so few British players in your team is a mistake, both for identity and for the grit, hunger and determination of what it takes to compete in this league. For such an international bunch of players it would be nice to see a little more ‘free movement’ out on the pitch. Perhaps it is no surprise, given the make up of the backroom staff, where the recruitment focus lies and that we have been unable to scout home grown talent from the lower leagues – such as David Brooks who was a thorn in the Hammer’s side all afternoon. Another Pellegrini comment was that the players had a lack of trust and were too concerned with protecting their first half lead; as if it was the typical game of two halves. I didn’t really see it like that. Although West Ham bossed possession in the first period, they were far from convincing, and created little aside from the disputed penalty. Bournemouth still had the better chances and might easily have had a penalty of their own. As with many of our opponents over the past few seasons it was the visitors who upped their game after the break when it was clear that the game was there for the taking. I know it sounds like a broken record but central midfield was once again too weak and too open. Also, if you are going to play four at the back then the wide midfield men need to do a lot more tracking back. Unless Felipe Anderson can be shaken out of his jogging back mode he is going to end up as an expensive flop. Even going forward he hasn’t shown the pace to go past any competent defenders, and apart from a few good passes he was largely anonymous. I wonder what Pedro Obiang has done to piss off successive managers? As much as you have to give Callum Wilson credit for the Bournemouth equaliser it was assisted generously by Keystone Cops defending at its best. Noble floundering, Fabian Balbuena’s powder puff challenge, Pablo Zabaleta needless dive-in and weetabix goalkeeping from Lukasz Fabianski. It was the type of goal you might see over the park on a Sunday morning when most of the players are nursing hangovers – it has no place at the top of the professional game. For 95% of the time, Angelo Ogbonna has the air of our best defender when suddenly there is an operating system malfunction and he enters standby mode. For the second goal he should easily have dealt with the initial danger but instead ending up fouling his opponent; which he compounded by trying only to impede the scorer from the resulting kick rather than looking to clear the ball. I am of the firm belief that the manager needs to consider three at the back to create some degree of stability. There were so few positives once again. Fabianski made some smart saves; Wilshere looks like he could eventually bring a new dimension to our forward play; and Andriy Yarmolenko looked lively once again during his brief spell on the pitch (why didn’t he start?) Other than that it was much like any other typical slow, ponderous and predictable performance that we have come to expect over recent years. It is amusing that we can get reminded of little things from Dad’s Army in other situations. Whilst watching the Liverpool FC love-in, otherwise known as Liverpool v West Ham on Sky TV last Sunday, my mind turned to a couple of phrases from the well-loved comedy programme of the 1960s and 1970s. Lance Corporal Jones (played by Clive Dunn) had a couple of famous catchphrases. One was “they don’t like it up ‘em” which I thought of when the commentary team were referring to Liverpool’s pressing on the West Ham players which they found distinctly uncomfortable, not giving them the chance to dwell on the ball. It would be good to see us doing the same to other teams. The other phrase was “don’t panic, don’t panic” which I was reminded of when reading some of the mass hysteria generated by West Ham fans writing on social media after the game. OK, so the game could have gone better. We could have put up a better show. That is twelve Premier League season-opening games that we have lost now. More than any other team. But let us face reality. The top six teams in the Premier League are now so far ahead of the remaining 14 that it is very unlikely that they will drop many points against the lesser teams, especially when they are playing at home. Liverpool appeared in the Champions League final just three months ago. They have since strengthened an already outstanding team by spending more money than any other Premier League club. In Mane, Firmino and Salah, they had three players who scored almost 100 goals between them last season. They put four goals past Manchester City at Anfield in the league in January, and five past the same team in the two legs of the Champions League semi-final in the Spring. Manchester City won the league with over 100 points and are a far superior team in every respect compared to us. There was a good chance that our newly constructed defence / team would have difficulty in keeping them out. I reckon they will put as many goals past many other teams this season. You only have to study the revenue figures and wage bills of Premier league clubs to realise how big an advantage the so-called elite six have over the rest of us. For the season 2016-17 figures were released in May 2018. In terms of revenue Manchester United were at the top at £581 million going down to Tottenham in sixth at £306 million. Leicester were seventh at £233 million, although these figures were bolstered by a one-off season of Champions League income of £70 million, which I suspect will not be repeated at any time in the near future for the Foxes or any other of the teams below them in the revenue table. West Ham were eighth at £183 million and were followed closely by Southampton and Everton. You then have a sizeable gap to Palace in eleventh at £141 million with the rest of the bottom half trailing down to Hull at £117 million. With TV and broadcasting income of £100 million upwards this demonstrates the reliance that clubs have on that money. It is no coincidence how the make-up of the Premier League table reflects both the revenue figures and the wages bills of clubs. It is interesting to note that of the bottom eight teams in terms of revenue in 2016-17, six of them have been relegated in the past two seasons, namely West Brom, Stoke, Swansea, Sunderland, Middlesbrough and Hull. The two that have survived, and have therefore possibly over-performed are Watford and Burnley. So it is likely that the top six will dominate for years to come, and continue to walk over the others just as Liverpool did last weekend. In fact I fear that Manchester City and Liverpool will even break away from the other four to an extent and be the top two well ahead of the rest. And to make matters even worse in respect of equality, the top six clubs have won their battle to gain a larger share of the overseas TV rights from the season after this one. As there needs to be a vote of at least 14 of the Premier League clubs to effect a change such as this one, it makes you wonder how they got away with it. It must have taken astonishing diplomatic skill by Richard Scudamore the outgoing Chief Executive to persuade the majority that because the leading clubs claim to be the leading attractions they should receive more. In my view it is an iniquitous move that will only serve to widen the gulf between the “elite” and the rest. Going back to the coverage of last week’s game I was very disappointed once again with the lop-sided coverage provided by Sky TV. The commentary team and pundits drooled over Liverpool from the start and a casual observer would hardly have known who they were playing against. And who were the pundits? Jamie Redknapp. Jamie Carragher. Graeme Souness. Not a lot of West Ham representation there! At one stage I was so disgusted with the commentary that I turned down the sound completely and just watched the pictures. I didn’t watch any of the post-match analysis. The drivel I listened to at half-time was more than enough. They all jumped upon the “high line” posed by our defence and would not give it a rest, continually going over and over the same point. But, to use the titles of two popular songs from the eighties and nineties, “things can only get better” from here, and “the only way is up.” Well, not strictly true, as we could stay at the bottom of the league. But we won’t. We have too much talent for that and will start to show it in our first home game against Bournemouth, a repeat of the opening home league fixture at the London Stadium two years ago, which we won with a late Antonio header. It will be interesting to see the team selection for the game. On the evidence of the first game alone I was impressed with our new Polish goalkeeper, and felt he did little wrong and should continue between the posts in preference to Adrian. Of course the army of Adrian lovers on social media will disagree with me, but there is more needed than passion for the club to justify selection for the team (a similar situation to the followers of James Collins, perhaps?). Will we continue with a back four, or will we go with a three and play with two wing backs? Certainly if Fredericks and Masuaku are chosen then the latter option is better suited to their abilities. Central midfield continues to worry me, and if I were selecting the team then Obiang would be my first name there. I believe that he is the only one at the club with the mobility and athleticism to fulfil the defensive role, although Sanchez has been bought as a short-term fix in this position, and it will be interesting to see how quickly he is brought into the squad. Rice is a fine prospect, but for me he needs to play as a defender. I’m sure Wilshere will come good and start to dominate games. I have high hopes for him. He was fouled more times (5) than any of our players. If only we could make better use of free-kicks and not turn them into goal-scoring opportunities for our opponents! Much as I’ve loved Mark Noble over the years I believe that the modern Premier League has changed, and his best years are behind him. But despite this the statistics show he had the most touches of any of our players (78), the most passes (67), and the most passes in Liverpool’s half (29). Not that they achieved much. I’m also convinced that our array of attacking players will cause many problems for opposing teams, certainly those in the 14-team “division two” of the Premier League. Yarmolenko, Anderson, Antonio, Arnautavic, Hernandez, Cullen, Snodgrass, Perez, and then later on Carroll and Lanzini give the manager a selection of differing offensive skills that would be the envy of many clubs. What we need of course is for them to gel sooner rather than later. So what will happen against Bournemouth? The bookmakers agree with me regarding a West Ham victory and have odds of around 11/10 for us to win the game. You can get around 12/5 on either a Bournemouth victory or a draw. West Ham wins of 1-0 or 2-1 are both priced at 15/2, and if you believe that we will win more convincingly then you can get 9/1 on 2-0, 14/1 on 3-1 (my prediction), or 18/1 on 3-0. So many football games seem to have a 4-1 scoreline and this is priced at 33/1. And finally, returning to the war theme, a message for our fans with a parody of the 1939 motivational poster produced by the Government at the time. “Keep calm and carry on blowing bubbles.” I was very amused by a T shirt worn by one of our fans with a satirical imitation of the poster that read “I can’t keep calm I support West Ham!” That is old-fashioned East End humour at its best.